Finishing a piece of writing makes every writer’s day. Finally, all the hard work and effort has paid off and there’s something to show for the hours spent typing away at the keyboard or scribbling into a notebook. It’s in the first few moments after completing a piece where fantasies of publication and talk show appearances flood into the mind. These, however, are often halted by thoughts of editing. In my opinion, the revision process is where writing really begins. It forces critical evaluation of a piece and ensures every word is placed with purpose. Given a chance, revision can be a lot of fun, perhaps even more than the initial draft. Unfortunately, the revision stage is often where enthusiasm drops and self-criticism kills a writer’s pride and love for their piece. Perhaps the hardest part about the revision process is starting. It becomes clear the “completed” project is nowhere close to done and its flaws seem to fly off the page. Revision can be discouraging and many pieces of writing never make it past this stage, but this doesn’t have to be the case. If approached with the right mindset, self-editing isn’t just beneficial writing practice, but enjoyable as well. As a rule, I never attempt to revise writing I have just completed or am currently proud of. When I’m in the honeymoon face with a piece of writing it’s hard to be critical and know where it’s successful and where it may fall flat. Having to remove sections or pages that took hours to write is demoralizing and makes writing feel like a waste of time. This is why it’s important to create distance with a piece before approaching it to edit. This may mean waiting a few days between drafts or starting on a new project so the last doesn’t seem as precious. If self-editing becomes relentless self-criticism, then the revision process is futile and more discouraging than anything. Being able to look critically (but fairly) at personal writing is a skill that like all other aspects of writing takes time to develop. If self-editing does nothing but discourage a writer, then perhaps it’s best to begin by leaving the editing to others. This is where writing workshops are invaluable as they promote encouraging discussions on how a piece is successful and where it can be improved. The revision process can come across as the “boogeyman” of writing. It’s the area where hesitation loves to take hold and self-doubts run rampant. 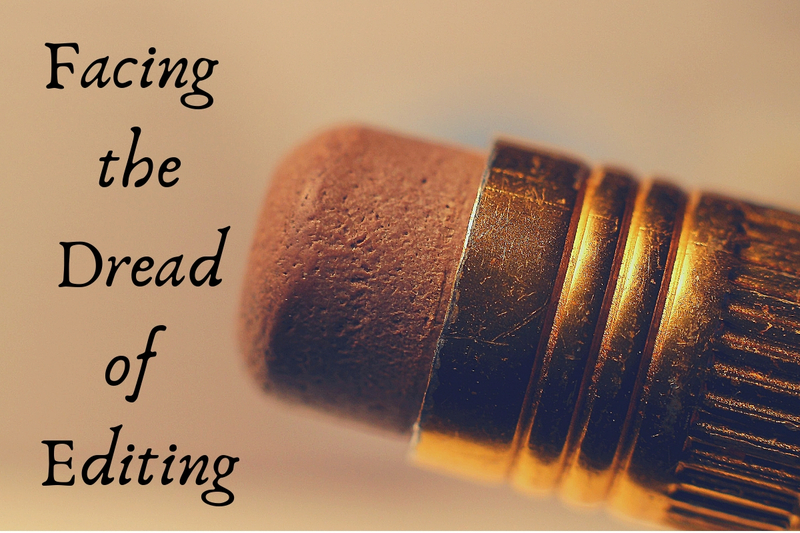 Not every writer will enjoy editing, but that doesn’t mean it needs to be painful. It’s a matter of finding what strategies work for you and using them to transform a good piece of writing into a strong piece of writing.